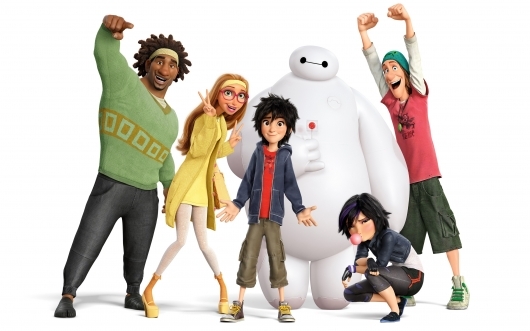 ‘Big Hero 6’ Is Now The Third Biggest Disney Animated Film Ever! As Disney’s Big Hero 6 finishes its theatrical run on the heels of its China premiere last week, the big story now is that the animated film firmly takes its place among the biggest Disney animated films of all time. After it’s international run, Big Hero 6 is currently running at $604.8M ($221.3M domestic/$383.5M international) with a few weeks left to run in China. That places it just ahead of Tangled to bring it to third place behind the juggernaut of Frozen and the timeless The Lion King. The Academy Award-winning film was recently released in the U.S. on Digital HD and Blu-ray/DVD Combo Pack. This news is so very incomprehensible, you might just find yourself staring at the numbers for an hour or two before snapping out a shock-induced coma. It’s no secret that Avatar was the biggest movie that this or any other world has ever seen (maybe…I hear Omicron Persei 8 is remaking Bikini Party Summer). With a budget somewhere in the $250 million to $300 million budget, the risk was unheard of and failure would have been of cataclysmic proportions. 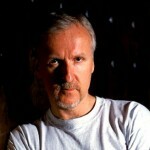 But we should all know by now that James Cameron knows best, and he’s about to have a very good day because of it. 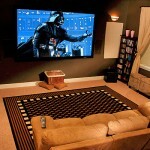 Brand New Movies Soon To Be Available In Your Home; The Death Of Theaters Imminent? If you had the option to watch the biggest and best new movies in your living room on the day that they were released in theaters, would you take it? 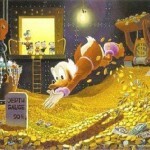 Even if it meant that movie theaters would suffer greatly, and maybe even disappear? In November of 2009, the Motion Picture Association of America, Inc. (MPAA) submitted a request to the Federal Communications Commission (FCC) asking that it be allowed for new movies to be available in the comfort of people’s homes either on the day of theatrical release or sometime soon after release so that those who can’t make it out to theaters have the option to see films when they’re new. Yesterday, the MPAA announced that the FCC had indeed approved of the request, making this future movie-watching option official. This was somewhat impossible for a while, but it looks like the deciding factor is that now there is the proper “selectable output control,” which allows for the highest-quality HD films to be offered securely. This should prevent would-be bootleggers from just using their own outputs to acquire the HD-quality films illegally from home. Will The ‘Saw’ Franchise Finally End With ‘Saw 7’ In 3D? When Saw first came out in 2004, it was a vicious and unique new addition to the world of horror, and very few people could deny how much gory fun it was. It was so popular, in fact, that sequels soon followed and they kept coming. By 2009 — yes, only 5 short years later — they were already releasing Saw VI. Many faithful fans have continued to line up the second a new installment is released, and as with any franchise, these fans have the ones they like and the ones they didn’t like. On the other hand, there’s another group of people who loathe what the franchise has become, and consider it a constant recycling of the exact same idea, surgically engineered to take the money of unsuspecting consumers every Halloween season. With each and every Saw film, it has become more and more apparent that the popularity is slowly weakening. 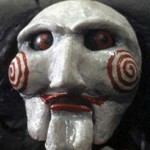 And so the question has arisen: when will Jigsaw orchestrate his final cruel trap? Many people seemed skeptical of Avatar and the unbelievable budget that it had actually being able to perform well at the box office. Considering it was a James Cameron movie, expectations were that it would make a whole lot of money, but would it be enough to pull in a worthy enough profit? Since its release, Avatar has been breaking records left and right — including the all-time worldwide record — while making more than enough bank at the box office to prove many times over that it was all worth it. Though the success was undeniable, it was Cameron’s other blockbuster, Titanic, and its domestic record that up until this point was simply untouchable. But shockingly, Avatar has now officially reached the $601 million mark, passing Titanic‘s previously immortal $600 million mark, and the amazing thing about it all is that it did it pretty quietly. We all knew the movie was destroying the box office, but to hit all-time #1 in both domestic and worldwide already is mind-blowing.